If you are new to EOT or have missed any previous issues, you can read them all at http://smartlibrarians.blogspot.com/. And please tell your friends about it! Welcome new subscribers! WINNER OF A HALF DAY OF ASSEMBLY PROGRAMS ANNOUNCED! Last week I spent a couple of days at GaETC, the Georgia Educational Technology Conference and had a great time in the Bound to Stay Bound booth with Ryan Jett! I made a lot of new friends and saw a lot of long time friends. I especially liked the part when people came up and said, “You’re the Thursday Newsletter guy! I read every issue!” Thanks! It’s very affirming to know that people are reading this! Ann Godfrey, Media Specialist at Hamilton Crossing Elementary in Cartersville, GA! Ann call or e-mail me and let’s schedule your visit! "School libraries help teachers teach and children learned. Children and teachers need library resources--especially books--and the expertise of a librarian to succeed. Books, information technology and school librarians who are part of the schools' professional team are basic ingredients for student achievement." 16. Host a WRAD – Write and Read All Day – once a year. Have guest readers and select quick reads for the kids to read for each grade level. WRAD is a fun event that can involve business partners, parents, local celebrities (mayor, school superintendent, football coach, etc. This is a fairly complicated event, so if you are interested, e-mail me and I’ll type it up for you. Do you Pin? Are you a Pinterest junkie? There is a LOT of helpful Common Core information one a HUGE variety of boards, and one I have had a lot of fun reading is http://www.pinterest.com/weareteachers/common-core-101/. Here’s one idea I found that I just have to share! Recently I had the pleasure of leading a Family Literacy Night program at Mimosa Elementary in Roswell, GA. This is the school my kids went to and where I performed my first educational assembly program. My presentation was a 60 minute workshop for parents and kids that included a little bit of magic, a couple of puppets and a TON of ideas about how to encourage your child to read. It went really well, and I am happy to offer it to other schools. Let me know if you are interested and I’ll send more information! Also, it’s not too late to climb aboard the Arctic Express! This amazing reading program encourages kids to read while teaching them about many of the wonderful winter celebrations enjoyed around the world! Pick up the phone and call today or click “reply” and schedule a visit today! Author Neil Gaiman on the importance of reading fiction! Shameless Plug – GaETC next week and a NEW evening program! On November 1, 2012, the first issue of Every Other Thursday was sent to 126 media specialists, and 9 of them immediately unsubscribed! In the past year, the number of subscribers has risen to over 300 and it’s still growing! Thank you for the referrals and kind comments. I have learned a lot in the past year and am looking forward to continuing to learn together! To read Mr. Gaiman’s full speech (which is wonderful! ), click here. Expect to see excerpts from the speech here several times in future issues! 15. Make a list of Readalikes. Amazon does it. Barnes & Noble does it. Why shouldn’t you? If you look up a book on the aforementioned booksellers’ sites, they will always provide you with a “You might also like…” list. Your media center can use this as an effective way to encourage students to discover some of the hidden treasures buried in your collection. Use flyers, brochures, posters, or the media center webpage to publish the list. Several samples of suggested “readalikes” can be found online, but a more valuable resource may be for you to get YOUR READERS to suggest the books to be listed. Readalike lists can be book specific (If you liked Hunger Games, you might like The Maze Runner by James Dasher) or thematic (Girl Power!, Gamers Rule!, etc.) I especially like readalike flow charts, like the ones you would see here. “I was in China in 2007, at the first party-approved science fiction and fantasy convention in Chinese history. And at one point I took a top official aside and asked him Why? SF had been disapproved of for a long time. What had changed? “It's simple, he told me. The Chinese were brilliant at making things if other people brought them the plans. But they did not innovate and they did not invent. They did not imagine. So they sent a delegation to the US, to Apple, to Microsoft, to Google, and they asked the people there who were inventing the future about themselves. And they found that all of them had read science fiction when they were boys or girls. “And while we're on the subject, I'd like to say a few words about escapism. I hear the term bandied about as if it's a bad thing. As if "escapist" fiction is a cheap opiate used by the muddled and the foolish and the deluded, and the only fiction that is worthy, for adults or for children, is mimetic fiction, mirroring the worst of the world the reader finds herself in. “If you were trapped in an impossible situation, in an unpleasant place, with people who meant you ill, and someone offered you a temporary escape, why wouldn't you take it? And escapist fiction is just that: fiction that opens a door, shows the sunlight outside, gives you a place to go where you are in control, are with people you want to be with (and books are real places, make no mistake about that); and more importantly, during your escape, books can also give you knowledge about the world and your predicament, give you weapons, give you armor: real things you can take back into your prison. Skills and knowledge and tools you can use to escape for real. 1. I will be at the Georgia Educational Technology Conference (GaETC) next week in the Bound to Stay Bound booth. We will be giving away a half day of assembly programs, so stop by and register to WIN! 2. Last week I had the pleasure of leading a Family Literacy Night program at Mimosa Elementary in Roswell, GA. This is the school my kids went to and where I performed my first educational assembly program. My presentation was a 60 minute workshop for parents and kids that included a little bit of magic, a couple of puppets and a TON of ideas about how to encourage your child to read. It went really well, and I am happy to offer it to other schools. Let me know if you are interested and I’ll send more information! · Hollywood big shots talk about the library! · Promote reading using high quality video – for free! · All Aboard the Arctic Express! Library Quote/Smile – Let’s hear from three big time celebrities! "When I was a kid and the other kids were home watching Leave It to Beaver, my father and stepmother were marching me off to the library." "I used to go to the library all the time when I was a kid. As a teenager, I got a book on how to write jokes at the library, and that, in turn, launched my comedy career." I had the pleasure of seeing a lot of folks at COMO last week! I enjoyed spending time with Ryan Jett of Bound to Stay Bound and will be joining him at his booth at GAETC in November! Several people signed up for “Every Other Thursday” and registered to win a half day of assembly programs. We welcome our new subscribers and look forward to visiting with you EVERY OTHER THURSDAY! Congratulations to Karen Hickey of Flowery Branch who won a half day of programs! 13. Ask the local high school video technology teacher to assign booktalks or reading promotion as a video assignment. Got an idea for a great video to promote your reading emphasis or special event? You’ve got trained, creative, enthusiastic and equipped students at your high school who can help. One of my elementary school clients in Alabama convinced the video technology teacher to assign booktalks as a project and the results were terrific! This two minute video is worth sharing with your ELA teachers (and probably those who teach ANY subject that requires writing!). It is about using sentence frames to get students to write their ideas and what they have learned. It is a great way to encourage readers to respond to what they have read and this exercise encourages critical thinking. I love what the teacher says about how a sentence frame “takes PART of the job of writing away from the student so they can focus on the content.” This could be especially helpful for struggling readers and writers. The holidays are just around the corner and one great way to promote reading AND celebrate the season is to treat your students and faculty to Arctic Express! a program that’s trainloads of fun, filled with puppets, magic, storytelling, music, and audience participation. This imaginary train ride magically takes kids around the world to learn about winter holidays like: Diwali, Thanksgiving, Kwanzaa, Solstice, Chinese New Year, Hanukkah and of course, Christmas. Yes, the program is educationally significant, and yes, the program strongly encourages children to read. But don’t think for a minute that the show is anything less than sheer delight for everyone, including teachers and staff. When you hear the sleigh bell ring at the end of the show, you won’t be the only one to wipe a tear from your eye. Call or e-mail today and reserve your spot for this inspiring program! · Promote reading with posters – FREE Templates! · Special COMO/EOT Pricing for school visits! To help, aid, assist. To teach, collate, enthuse. To catalogue, index, arrange, organize. To find, discover, promote, display. To interest, intrigue, amuse and amaze. To instill wonder. To help children, adults, old people, the underprivileged, the rich, the poor, those with voices and those without. To protect resources, to archive them, to store them, to save them for the future. To provide differing viewpoints, to engender thought, conversation, research, fun. To provide the best answer possible, to match the answer to the enquirer, to provide just enough information without overwhelming the user, but enough to always help. To better a local community, a company, a school, a college, an organization, a country, the world. Check out his blog for some really GOOD stuff! Two weeks ago, I had the privilege of leading two workshops at the Liberty County (GA) Media Showcase. I presented Making Yourself Indispensable, a session on being your own best advocate and educating decision makers about the importance of a well-trained media staff and a well-equipped media center as it applies to student and school success. About 45 people attended the two sessions and 28 of those present signed up to receive Every Other Thursday! Welcome aboard! We have almost 300 subscribers now! 9. Design and print READ posters for top readers, classes, administration, and staff with favorite books. I have designed a series of READ type posters you can use for your top readers and others in the school. I usually print these 11X17 so they are big enough to see, but affordable. Most big office supply stores run specials so that an 11X17 color copy of one of these posters is less than $2.00. Always ask for a teacher/school discount or if they have a coupon in the current ad! You can download the templates at http://tommyjohnspresents.com/posters.htm. You’ll find Million Dollar Bills to celebrate million word readers, posters to promote the library and posters in the style of the ALA’s READ posters. Enjoy! I found this 6 minute video very helpful as an introduction to Lexiles. You may want to provide a link to it in your next newsletter! I will be at COMO (in Macon, October 10-11) in the exhibitor hall, once again teaming up with Ryan Jett of Bound to Stay Bound. We will be giving away a half day of assembly programs and a library program. Stop by and register to win! I’ll see you in Hinesville and Macon! Library Quote/Smile – Stereotypes Broken! National spokesperson for Friends of Libraries U.S.A.
"As a general rule, librarians are a kick in the pants socially, often full of good humor, progressive, and naturally, well read. They tend to be generalists who know so much about so many things that they are quite the opposite of the boring old poops they have been made out to be. Most of them are full of life, some even full of the devil." 2. Use the news as a propaganda tool. Many of you are in charge of the morning news at your school every day. Even if you are not, you can use the news to promote reading! Film students and teachers sharing book talks, do genre overviews, show off new books the media center has added, recruit volunteers, reward readers, offer search tips or even do training snippets to increase media center usage and awareness. You might as well use it to promote YOUR agenda. And who can argue with promoting reading? to your teachers and encourage them to scan the page for ideas. I think you will find one more way that you can become the school’s curriculum super hero! There are two great professional learning opportunities (and a chance to hang out with other cool media specialists!) coming up soon and I will be at both of them! The Liberty County Media and Technology Expo is Friday, September 27th in Hinesville, GA, and I will be leading one of the sessions, “Becoming Indispensable - Convincing the rest of the world that a well stocked media center and a well trained media staff are essential for student success. It’s free and is a great opportunity for idea sharing and training. Find out more at http://www.mediamatterslcss.blogspot.com/. I will be at COMO (in Macon, October 10-11) in the exhibitor hall, teaming up with Ryan Jett of Bound to Stay Bound. We will be giving away a half day of assemblies and a library program. Stop by and register to win! I know I have readers of EOT who are in other states. If you’d like to have me come to your area to do teacher training, let me know! If you are new to EOT or have missed any previous issues, you can read them all at http://smartlibrarians.blogspot.com/. And tell your friends about it! · What is your theme for the year? "At the moment that we persuade a child, any child, to cross that threshold, that magic threshold into a library, we change their lives forever, for the better." 8. Celebrate milestones often. Recognize progress along the way. We all know the importance of recognizing those who finish first at the end of the year, but recognizing progress along the way minimizes attrition and keeps enthusiasm high. My own children, who were highly motivated readers, would often see the person who got an early jump on the AR points as impossible to beat. And since first place was the only important spot, they would stop taking tests or tracking minutes, making the success of the program hard to assess. Constant encouragement and a chance to start over every 3, 6 or 9 weeks can keep kids from giving up. Consider helping your readers set short term as well as long term reading goals. Everybody (especially the students) benefit from the sustained motivation! I am a big fan of The Teaching Channel (www.teachingchannel.org). The content is solid, the videos well done and the information is understandable. They offer this as a fee service if you sign up. I get an e-mail from them about once a week and can usually find something worthwhile in every one. This week I got an e-mail that takes you to a page called “Ask the Experts” where you or your teachers can ask a question of a panel of CC experts and get answers via e-mail. The web address is https://www.teachingchannel.org/ask-the-experts. You can see some of the questions that have already been asked and answered at https://www.teachingchannel.org/questions. Spend a few minutes and learn something about this major nationwide curriculum shift and become the expert your teachers rely upon as they make their own adjustments! 1. 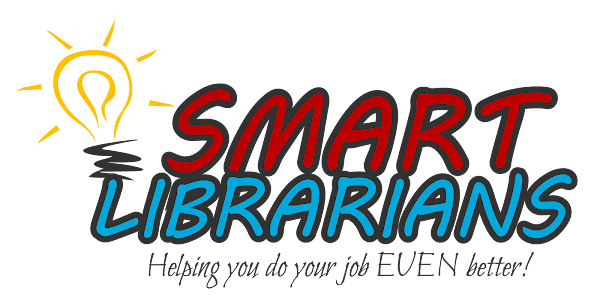 Special pricing for September only – go to http://smartlibrarians.blogspot.com/2013/08/august-22-2013-were-back-and-youreback.html for details and save big! 2. Elementary Media Specialists should have already received the new TJP brochure of all our current programs. If you don’t have yours, let me know and I’ll drop one in the mail to you right away! 3. Whatever your theme for the 2013-2014 library media center emphasis, I probably have a program that supports it! If I don’t have a show that fits the theme, I can always adapt “I Love to Read!” with a costume and books that will support your emphasis for the year!